There’s an Acronis alternative called BackupChain backup software, which is both reliable, and more affordable than Acronis and Veeam. BackupChain is part of the IT professional’s repertoire worldwide and has a rapidly growing fan base of more than 35,000 users. As an alternative to Backup Exec, Veeam, Microsoft DPM, and Acronis, BackupChain grew over the years to become the backup solution of choice for IT specialists and provides personalized tech support you can rely on. Check out the summary below, try the full version, and decide for yourself! BackupChain’s single-click Hyper-V backup feature has been spreading rapidly since 2009, is offered as a free feature, built-in to BackupChain, and is utilized by a world-wide user base. To augment Hyper-V backup, BackupChain Server Enterprise Edition also adds Granular Restore, Granular Backup, CSV backups, and single-click Hyper-V VM recovery. All these features are backed by lightning fast deduplication and compression, and a robust multithreaded design. 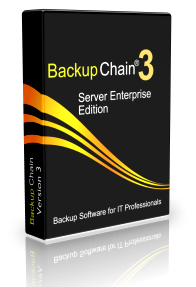 As an all-in-one server backup solution, BackupChain offers V2P, V2V, and P2V conversion. Copy or convert virtual to physical, virtual to virtual, or physical to virtual on Hyper-V, VirtualBox, and VMware in all possible directions. Backing up dozens of terabytes of deep folder structures is no issue at all. Lots of our customers have gigantic file servers to back up each day. BackupChain has proven itself from day 1 to be a very robust tool, no matter how large your data set is. That’s no surprise, it’s by design, in fact, BackupChain is a carefully designed tool to handle your important data reliably. As an alternative to Acronis, BackupChain offers an innovative Granular Backup feature that lets you back up folders that reside inside VMs, but you don’t need to install any software inside the VM whatsoever. Agents are not required and as you may have guessed it, competitors use them mainly for licensing reasons. With BackupChain, there is no limit to the number of VMs you can back up on one host. The crème de la crème of all virtual machine backups are application consistent backups, which are also crash consistent. This procedure uses VSS to notify all VSS aware applications and services, such as SQL Server and Exchange Server, to prepare for live backup. These applications then prepare their file contents, so that BackupChain can take a consistent snapshot of the entire VM and its services without data loss. Unlike Acronis, BackupChain offers these features without installing additional drivers and, hence, doesn’t require reboots. BackupChain works with CSVs out-of-the-box, there is no additional license or configuration needed. Cluster Shared Volumes are recognized automatically and handled according to Microsoft’s recommendations. Using BackuChain, you can fine-tune deduplication processes and assign a certain number of CPU cores for compression and deduplication. In addition, bandwidth may be throttled and files may be backed up simultaneously as necessary. Being a powerful alternative to Acronis,BackupChain offers deduplication for free, already included. The usual scenario is to purchase one license of BackupChain Server or Server Enterprise Edition and that’s sufficient for your server. There are no limits on usage, VM count, CPU counts, or anything else. Backup storage is getting cheaper; yet, there is no reason why it should be wasted. In addition, a well compressed archive can be made to complete faster, too, in many instances. You can fine-tune your backup tasks to use deduplication and compression on selective types of files with custom settings, which either favor speed or backup size. Deduplication dramatically reduces the backup size when regular backups are taken incrementally or differentially. When backups are moved over the wire, whether through a LAN, VPN, to a NAS, or over the Internet to the cloud, storage reduce also equals less bandwidth usage, less network interference, and faster completion. While other tools are truly difficult to set up and get started, BackupChain installs in less than a minute (and uninstalls, too) and ships with a User Manual full of screen shots and walkthroughs. A quick Task Wizard will help you get started within minutes and run the first backup task with ease. Network attached storage backups, FTP backups, LAN and network backups, as well as local backups, all work the same way. All you need to provide is a backup target folder, that’s it! If you don’t like proprietary formats, you’ll love the open file standard options in BackupChain. The choice is yours. BackupChain doesn’t patronize its users. This is a great advantage over Veeam, Acronis, BackupExec and DPM. BackupChain gives you control over your data. Your data is your property: you do what you want with it. You tell BackupChain what to do, not the other way around. Back up VirtualBox, Virtual Server, Virtual PC, Hyper-V, and VMware on the same host using the same BackupChain task if you like. Whether it’s Windows 8 Hyper-V backups or Windows Server 2012 R2, it’s all included and working efficiently, loaded with several additional related features, such as Granular Backup and Restore. Deduplication ships with BackupChain at no additional cost. Compression, incremental backups and differential backups can cut a gigantic 64TB VHDX down to daily GBs when set up correctly (after the initial backup). If you are dealing with files and documents of limited lifespans, BackupChain offers several ways to trim backup media usage. For example, you may be dealing with photos that you won’t need after one year, or documents that you would like to store for at least a decade. Other users prefer to keep the last N versions of each file, depending on its type. All these requirements may be easily configured in BackupChain’s File Types section. WAN acceleration makes backups over the wire finish faster with fewer bytes to move around. Furthermore, BackupChain’s Remote Backup module allows users to create their own private and secure cloud and integrate it to their IT infrastructure. Alternatively, BackupChain offers a competitive cloud service that is optimized to handle huge files for just $479/TB/server/year; check out our cloud backup plans. Unlike Acronis, BackupChain comes integrated with all the tools needed to set up your own private and secure cloud. You won’t find a backup solution that deduplicates over standard FTP. BackupChain was designed from day 1 to handle deduplication over FTP like no other tool. Hence, if you already have FTP servers offsite at other company locations, you can easily leverage them by creating your own secure cloud for your remote Hyper-V, VMware, and file server backups. Many user prefer to set up two kinds of tasks: one that replicates using the ‘no-processing’ option in BackupChain, and a regular backup task, that keeps a long backup history. The latter helps restore old information from the past as necessary but stores it efficiently. The replicated task makes the latest backup available at once, at the cost of additional backup space used. Whether you send your backups to a local NAS on your LAN or to a cloud over the internet, it makes sense to cut down on storage and bandwidth usage when backups have to be sent over the wire. BackupChain offers bandwidth throttling and source level deduplication. Files are compared from backup to backup and only differences need to be compressed and sent over. In addition, multiple download or upload links may be created to speed up the process when necessary. Replication tasks have the advantage of making files available instantaneously. If you need a task immediately, you simply access it from the backup folder without going through lengthy restore operations. Virtual machines in Hyper-V or VMware, for example, may be started directly from the backup store, provided the backup was taken with the ‘no-processing’ option. Granular Restore refers to the capability of BackupChain to access individual files that are stored inside VM backups. BackupChain can open deduplicated and compressed chains or increments without restoring the entire VM and allow users to browse and open files selectively. The delay in accessing VM internal folder structures is usually less than 60 seconds. Granular restore currently works with VHD, VMDK, VHDX, and VDI virtual disks. Granular Backup allows you to back up files inside a VHDX / VMDK / VDI from the host, without installing an agent inside the VM. The great thing about Granular Backup is you don’t need to back up the entire VM if all you want backed up is a folder, for example. BackupChain’s Restore Screen looks similar to Windows Explorer and allows users to quickly find and restore single files and folders, or older versions of them with a couple of clicks. The first weapon to cut down backup time is to use deduplication at the source and compression. Deduplication may be spread to a certain number of CPU cores to fine-tune load and speed as necessary. The granularity is also configurable. By tracking block changes, BackupChain can create increments and differentials of each backup file that average just 5% of the file’s original size. The strong multithreaded background engine in BackupChain permits parallel processing of compression, deduplication, and several simultaneous file backups within each task. Certainly each product and service has its own strengths and challenges; however, receiving responsive and qualified tech support is likely to influence your decision when you look for a DPM, Acronis, or Backup Exec alternative. You may want to give each provider a call before purchase and convince yourself of BackupChain’s personalized, responsive, and qualified customer support. Based in Baltimore, Maryland (ET), support is available 9-5 (ET), while 24 hour tech support is available as an option for premium license holders. All marks and names mentioned herein may be trademarks of their respective companies. BackupChain is used around the world for backup and recovery of physical and virtual environments, and aims to be the product of choice for all IT professionals in the world. Find out how you can switch and save money by using BackupChain as an alternative to Acronis, Veeam, BackupExec, and Microsoft DPM.